Since graduating, been working, have three grandchildren, 7 stepgrandkids and going to college to get my bachelors. I have my Bachelors in Business with a concentration in Accounting and Masters in Accounting. Sandra Herring Mata has a birthday today. 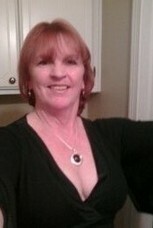 Sandra Herring Mata updated profile. View. Sandra Herring Mata changed profile picture.